With the recent changes made by the Boys Scouts of America--including girls in the program-- a debate has risen both nationally and locally on whether the move was positive or negative. The Boy Scouts of America (BSA) and the Girl Scouts of the United States of America are among the most popular scout organizations in the country. The BSA should be applauded for their recent change to accept girls into its program and continue to accept them because it supplies benefits for society while creating equal opportunity for girls. The organization announced Oct. 11, 2017 that they would allow girls to join their flagship program which will be referred to as Scouts BSA starting in 2019. This move is a part of BSA’s attempt to be more inclusive, according to a press release by Chief Scout Executive Michael Surbaugh. The inclusion of girls is the latest move in a positive trend of inclusivity by the organization. Openly gay scouts were allowed to join in 2014 and were permitted to be scout leaders in 2015. In 2017, transgender people were allowed to become members. This pattern sends a positive message to youth in this country. And by being more inclusive the boy scouts may increase their dwindling rate of membership. The GSA tries to frame this like a bad thing, but the BSA is a staple of american culture and by increasing membership they will be preserving the scouts, as well as expanding who can reap the benefits of their program. The Girl Scouts does not offer the same opportunities and prestige as the BSA. The highest rank in the BSA is the title of Eagle Scout, which only 4 percent of scouts obtain. The rigorous process to become an Eagle Scout, which includes earning 21 merit badges, submitting letters of recommendation and being active in the troop for at least six months after earning the Life Scout badge, helps build the enormous prestige. The equivalent for Girl Scouts, the Gold Award, is less known and often considered less prestigious than the Eagle Scout badge. In addition, there are more potential scholarships available for Eagle Scouts. Scholarships for the the Gold Award range from $600 to $10,000 with some scholarships being renewable. However, for Eagle Scouts, scholarship awards can be as high as $50,000, according to the National Eagle Scout Association. Allowing girls to join BSA would enable them to potentially become Eagle Scouts and thus apply for these more lucrative scholarships. Officials from the Girl Scouts of the United States issued a scathing critique of the BSA for not creating programs that are directly designed for girls. Instead by having “boy” in the title, the Girl Scouts argue, will force female members to “give up part of their identity.” But girls who are not interested in the BSA can still join other organization, including those with girls exclusively. Furthermore, the Boy Scouts have numerous coed programs which do not have “boy” in the title, such as Sea Scouts or Venture Scouts. The organization will remain “The Boy Scouts of America,” but the programs managed by the organization will have gender neutral names. 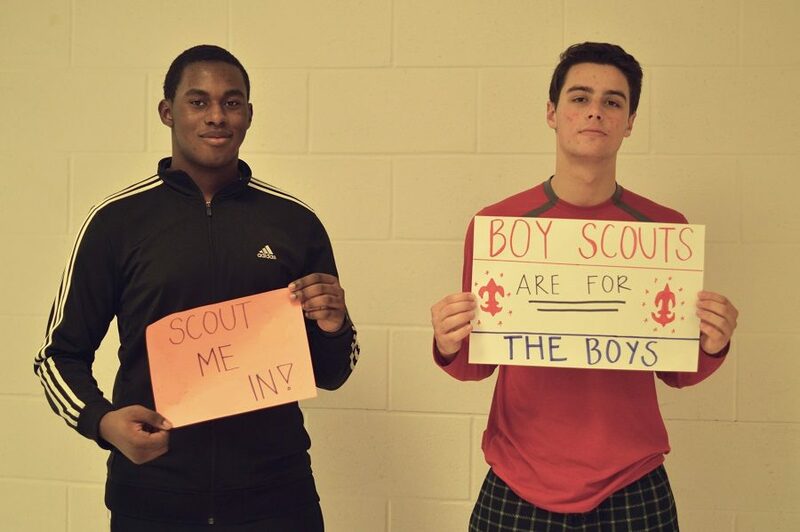 The Boy Scouts of America organization is creating more equality between boys and girls by introducing co-ed programs. These coed programs will allow girls to have more prestigious alternatives when considering which organizations they wish to be associated with. There is nothing to lose from moving in a direction where opportunities are available to everyone.